WA : San Juan Co.
June 28, 1997, L. G. Crabo. Apamea atriclava is an uncommonly collected large broad-winged orange-brown Apamea (FW length 19–23 mm) that is found in forests and remnant grasslands in the western part of the Pacific Northwest. The forewing has a slightly scalloped outer margin and is mottled medium-dark orange-brown, darker along the costa, in the cell, and in the fold distal to the claviform spot. The terminal area except the apex is gray-brown, divided into two similar-sized patches by the W-mark of the subterminal line. A thin black basal dash is present, a similar dark line is present along the trailing margin near the wing base, and in some specimens a black dash spans the median area in the fold. The distal veins are dark in some individuals. The basal, antemedial, and postmedial lines are brown, double filled with the ground color, relatively faint and incomplete. Paired dark dots on the veins often abut the antemedial line and postmedial lines at the tips of their teeth. The basal line is only evident on the costa. Segments of the oblique antemedial line are most consistently evident on the costa, in the cell, and in the fold at the base of the claviform spot. The median line is red-brown to gray-brown, sinuous with an excurved segment below the reniform spot. The postmedial line is often faint around the cell, but a short angled segment across the fold is nearly black and is a conspicuous mark. The subterminal line is the ground color, irregular with a long W-mark to the margin on M3 and CuA2. It is preceded by a brown shade and brown to black wedges between veins from M2 to the fold. The terminal line is a series of gray lunules that accentuate the scalloped margin. The fringe is dark gray-brown with orange-brown checkering. The orbicular and reniform spots are partially outlined in brown and filled with the ground color. The orbicular spot is an elongate oval that usually contains a thin central brown line. The reniform spot is weakly hourglass-shaped with a weak lateral outline. It contains a blue-gray spot inferiorly. The claviform spot is small, black or brown. The hindwing is light orange-tan with brown-gray distal third, thin discal spot, dark veins, and a thin postmedial line. It has a pale orange to rust colored fringe.The head and thorax are orange-brown with brown lines near the edges of the collar and tegulae. The male antenna is bead-like. This species can usually be identified by its large size, mottled orange-brown color without strongly contrasting marks, and the strong W-mark on the outer margin. It is most likely to be confused with Apamea antennata and Apamea siskiyou in its range. Apamea siskiyou is much darker brown with a thin pale W-mark at the margin that looks as though it could have been drawn with a pen. This mark is much more diffuse in A. atriclava. Apamea antennata is more mottled, darker brown to red-brown than A. atriclava and has a more colorful forewing with patches of blue-gray or silver-gray color in the posterior subterminal area. Its black median dash is stronger and more consistent. The type locality of Parastichtis lignicolora atriclava Barnes and McDunnough is Duncans, Vancouver Island, British Columbia, Canada. This species is narrowly endemic to moist conifer forests at low to middle elevations in the Coast Range and along the west slope of the Cascades. It is associated with forest grassland mosaic habitats near the Salish Sea at the northern limit of its range. It is generally rare but can be moderately common in coastal rainforests in Oregon. 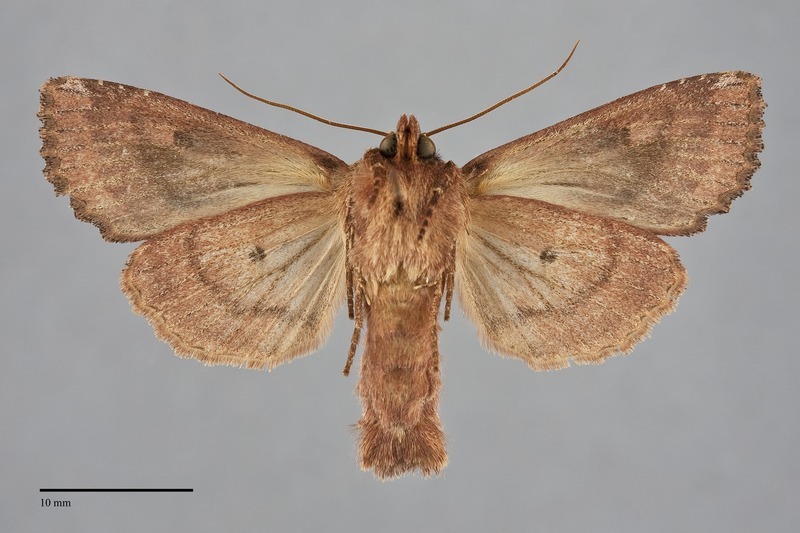 This moth is found in the western part of the Pacific Northwest to the crest of the Cascades. The northern limit of its range is the east-central part of Vancouver Island. The range of this species extends south in California to the San Francisco Bay region and the northern Sierra Nevada. 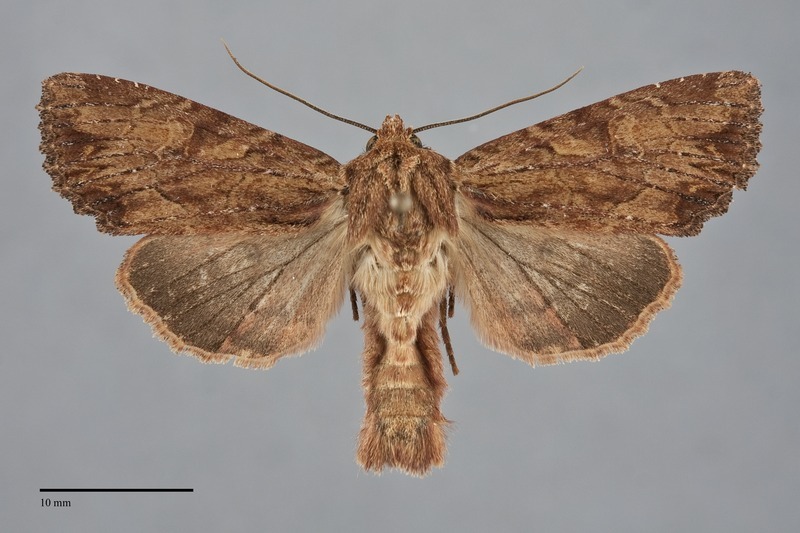 This species is a soil-surface feeding cutworm that feeds on grasses (Poaceae). Adults are single brooded and fly during the summer months. Pacific Northwest records are from mid-June to early August. It is nocturnal and comes to light.